Hold on to your livers, this weekend brings yet another year of St. Patrick’s Day festivities (the actual day falls on Monday, March 17 this year). Whether you’re planning to indulge with newfound bar peers or in the comfort of your own apartment, here are all the apps you’ll need for a successful and safe night(s) ahead. Chances are, if you’re not at an Irish bar by 3 in the afternoon, that place will already be jam-packed by happy hour. If your favorite watering hole is at capacity, your first options are to go for the obvious location-based apps like Yelp and Foursquare can help find bars nearby. Don’t worry if the bar’s not actually Irish, bartenders probably stocked more Jamesons and Baileys than you’re willing to bathe in. 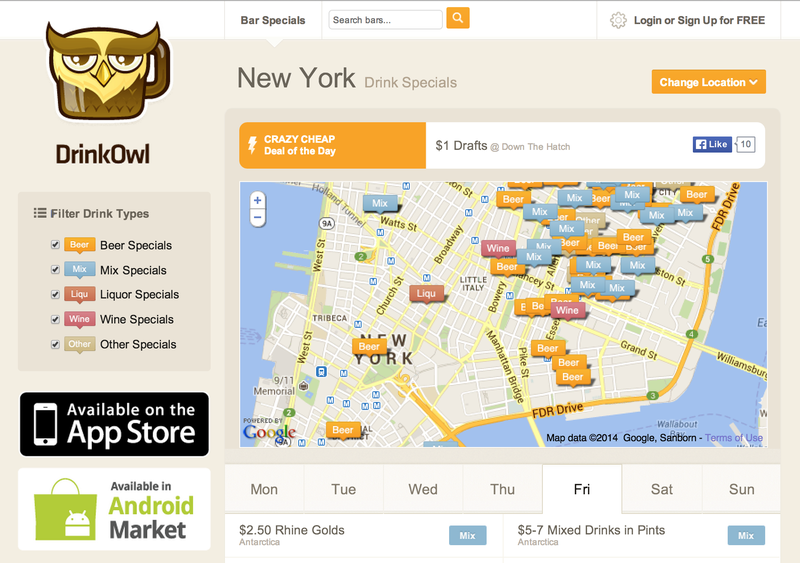 If happy hour hunts are your thing, DrinkOwl can help you find nearby bars and local drink specials. 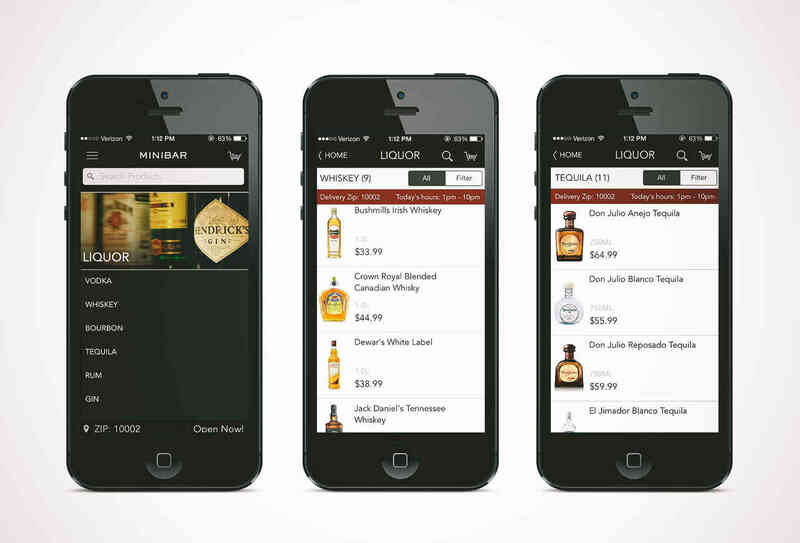 The app also lists liquor stores and their sales, in case you’re fed up with not getting service at the bar. For those who like planning a great night out like they plan vacations, iOS app Night Out is also an alternative for finding events to make your St. Patrick’s Day extra special. 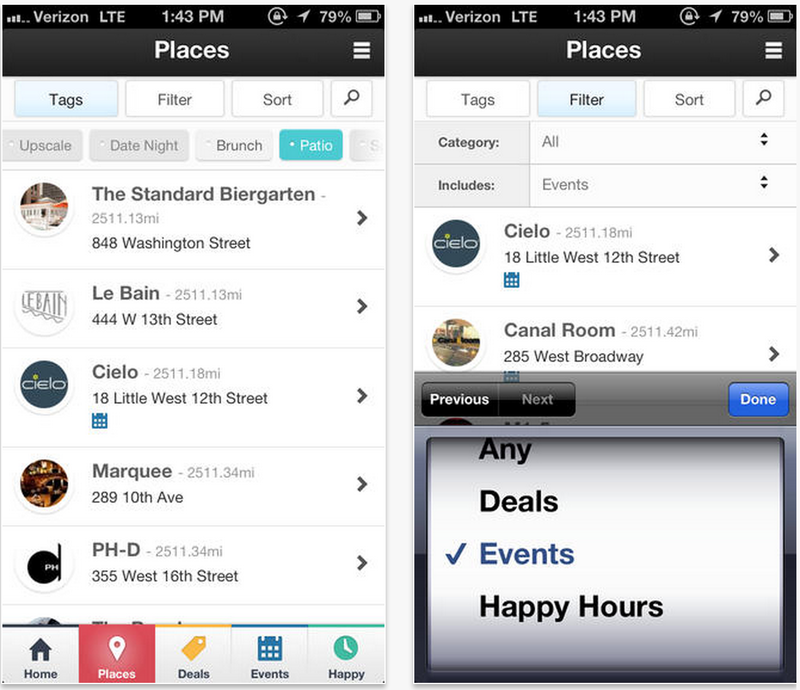 You can also sort venues by types, such as bar, club, or lounges. Drunk crowds not your scene? I feel you. Why go out and wait forever for a bartender to notice when you can mix your own drinks? Thanks to the abundance of alcohol delivery apps that have emerged over the past few months, you don’t even have to wait in line at your neighborhood liquor store. Apps like Drizly and Minibar – currently serving Boston, MA and parts of New York City, respectively – both let you order your favorite booze and will deliver them in under an hour. Both Drizly and Minibar contain deliver minimums, however, so be prepared to spend the pretty money to get your convenience’s worth. The hours of availability are also based on when your nearest liquor store that deliver closes, so check often. If you wanna get fancy with your whiskey this holiday, Distiller is an excellent iOS app for finding the right poison for the night. The beautifully-designed interface sorts whiskeys from around the world, and include backgrounds on each drink if you’re up for a small history lesson. 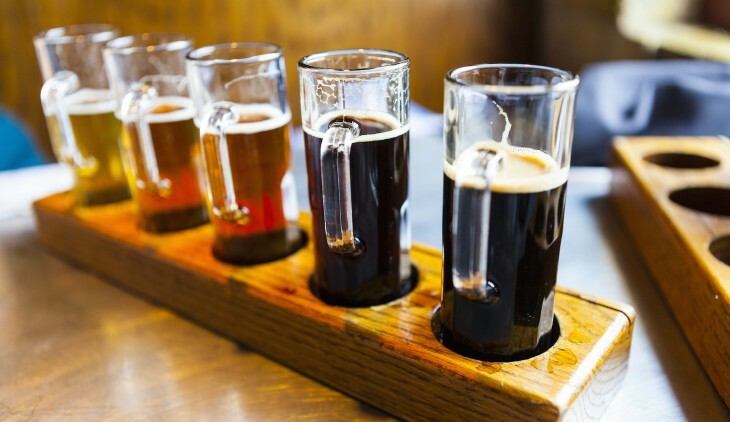 For those who are more of a beer drinker than liquor lout, Untappd is an absolute must in finding the perfect ale for the occasion. 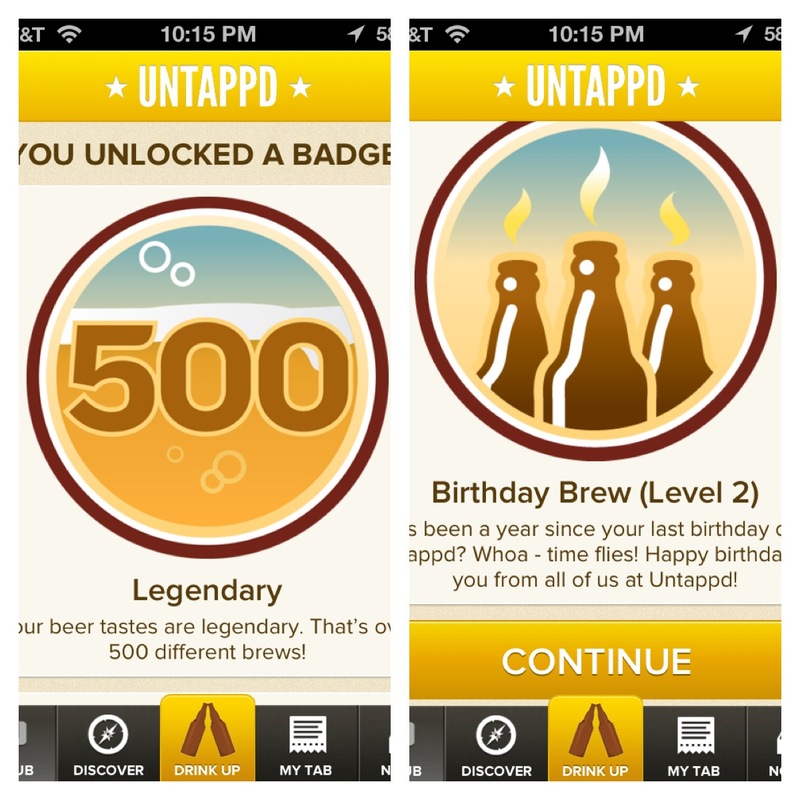 There’s also a gamification aspect which awards badges as you discover new beers. So it’s gotten to that time of the night when you’re ripe for making irresponsible decisions. You knew this was coming. 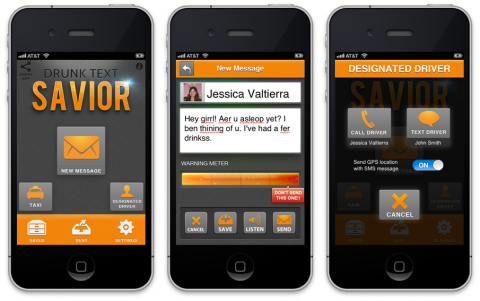 Everybody drunk texts, but if you don’t want to wind up on the front page of tomorrow’s DamnYouAutocorrect, equip your phone with Drunk Text Savior. The iOS app will warn you of excessive typos and ask if you really want to send the potentially embarrassing text, or read the text back to you to make sure you meant what you typed. A picture is worth a thousand words, so why send a text message when you can message over a racy photo on Snapchat? Stop. Right. There. 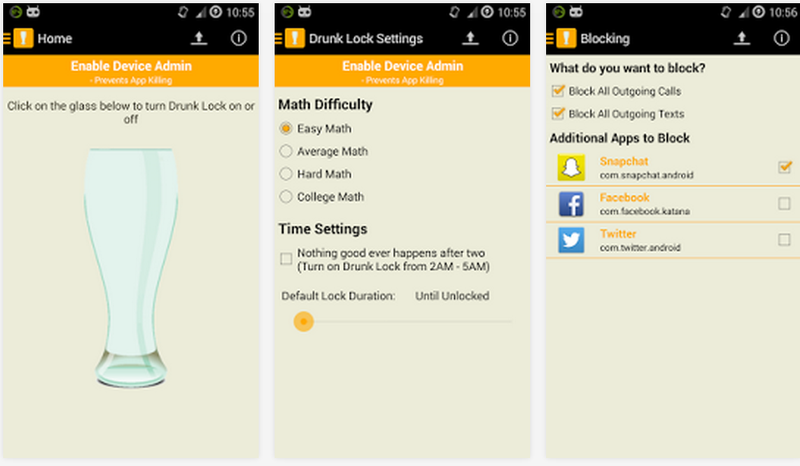 Download Drunk Lock so the app can block you from sending terrible messages on Snapchat, Facebook, Twitter, Google Hangouts, WhatsApp, and more by making you complete a series of math questions first. The app can also block you from making phone calls unless you pass the mini math exam in various difficulty levels. But seriously, do you have that much time to spend just to make a phone call? Let’s get you some water. When it’s time to get home safely, here are several options. There are tons of on-demand car service apps that will bring taxis right to your door. Uber‘s a good option if you’re rollin’ in money assuming surge pricing will absolutely take place. Lyft is another alternative for those who need rideshares home, while Hailo and Gett are good Uber alternatives that might be more accommodating when surge pricing gets to be too ridiculous. So you made it alive to see another day, but you have no idea where your phone went. 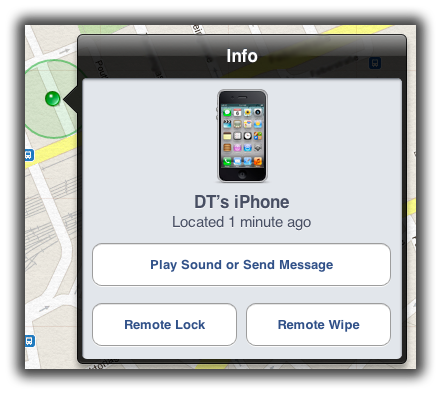 That’s why you should’ve set up Find My iPhone or Android’s Device Manager to track it down in case it goes missing the morning after. Whatever you do, drink responsibly, and we hope these apps help aid another boozetastic night ahead.